Rambam Health Care Campus is a 1,000-bed academic hospital serving the over 2 million residents of Northern Israel. Providing comprehensive medical services in all medical specialties, Rambam is the tertiary referral center for 12 district hospitals. Our commitment is to the entire spectrum of patient care, ranging from the best treatments and therapies, to the support of clinical research. Our hospital has a JCI Accreditation. Rambam Health Care Campus was recently ranked as one of the most recommended hospitals in Israel. In addition to the citizens of Northern Israel, Rambam serves the Israel Defense Forces Northern Command, UN Peacekeeping Forces, and the US 6th Fleet. 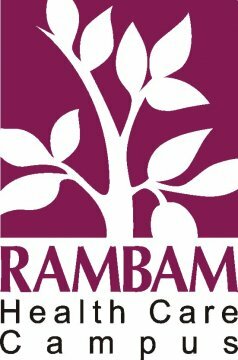 Many of Rambam’s physicians are world renowned in their clinical specialty. Physicians participate in cutting-edge research projects to bring new therapies and treatments not only to their patients, but the greater community of the world. Affiliated with the Technion’s School of Medicine.